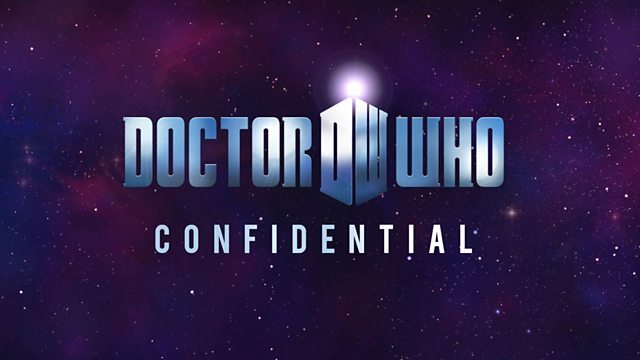 Confidential travels Stateside with the cast and crew to show how Doctor Who created its own American Dream, featuring interviews with Matt Smith and Karen Gillan. Doctor Who Confidential travels Stateside with the cast and crew to show how Doctor Who created its very own American Dream. In Utah, Confidential follows the director's quest to find the perfect movie-style backdrop to one of the most ambitious scenes to date. Matt Smith dons his stetson and gives us a run-down of the USA filming and the crew talk us through the thrills of filming in the Utah desert. Back on home ground, we bring you the creation of the Oval Office, the much-debated return of River Song and a whole load of backstage action from this spectacular two-parter. Featuring interviews with Matt Smith, Karen Gillan, Arthur Darvill and Alex Kingston.